“The real alternative to birth control is abortion,” wrote Dean Inge, [Dean of St. Paul’s Cathedral, London]. It is an alternative that I cannot too strongly condemn. Although abortion may be resorted to in order to save the life of the mother, the practice of it merely for limitation of offspring is dangerous and vicious. [Emphasis added] I bring up the subject here only because some ill-informed persons have the notion that when we speak of birth control we include abortion as a method. We certainly do not. Abortion destroys the already fertilized ovum or the embryo; contraception, as I have carefully explained, prevents the fertilizing of the ovum by keeping the male cells away. Thus it prevents the beginning of life. 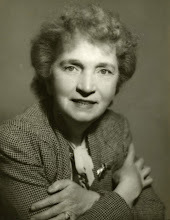 Margaret Sanger actually believed that abortion destroys an innocent life because she was honest enough to recognize that life begins at the moment of conception (without reference). Hence, she would have disagreed with the U.S. Supreme Court’s conclusion in Roe v. Wade.